It is week of Oscillator in energies. This can be linked with the age of some one when it is starting in his career. When a man start first step towards making history. This is the time when this cusp get activated in implementing its real plan for the better future. Generally the combination of water and sign is extra ordinary and warmth in relationship. Those born under this sign are generally masculine oriented and have famine sensuality. Such Characteristics makes men highly contrasting as well very influential personality too. If they are in mood they can take out all your stress but It are not in, They can put you in deep stress. They generally have dramatic changes in them. People who knows them can only dare to converse with them. They can be resistance to emotional manipulation, and easily bend towards kind attitude. At love and war they are highly competitive can result in the most sticky soldiers at both the fronts. They always keep their colleague happy and delegate their duties and authority to the sense of responsibility of course they have tendency of taking risk and play danger at some situation. What they come out of that soon because of their decision making powers in them. Many of them are emotionally blocked and prone to depression too. Those born under this cusp should walk on fine line to keep their mental balance in fact. Because they bore easily and they excite easily. In friendship they can equally divide their, energies between both sexier. They can be wonderful when they make promises. They can be faithful to our two or even three at one time. it is all one and the same to them. They often appear shy one minute and then they are stealing the spotlight the next. Combining Fire and Water together in a Cancer-Leo Cusp makes for an interesting study. Their vibrant energy is tempered by emotional sensitivity. In turn, their emotions are tempered by the intense ambition they have. They are graceful and strong. Both attributes serve them well. The fastest way to success for Cancer-Leo is to even out their highs and lows. Learning to maintain stability can pay off for them in a big way. Self-discipline can be attained without losing their spontaneity. By finding their calm center, they can remain confident in themselves. 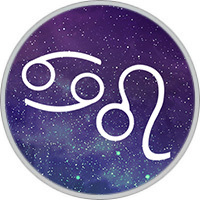 Cancer-Leo is sensitive to criticism. They may come across as so self-assured that they appear to be living in a fantasy world. They have a strong affinity to food. Imaginative in the kitchen, they can work miracles with a meal. They enjoy pleasure and social gatherings. They don’t care to be alone most of the time. They are devoted to their partner. They are generous and creative in their relationships with others. They are good at empathizing with their loved ones. The Cusp of Oscillation creates people who are traditional, nurturing, flamboyant, ambitious, sensitive, proud, creative, expressive, inspiring, cheerful, practical, romantic, passionate, realistic, generous and emotional. They may also suffer from self-centeredness, hyper-sensitivity, and have dependency issues. ever. They are fair, and will stand by both friend and foe in times of struggle. At the same time, they may have trouble letting go of grudges or slights they feel, whether real or imagined. shy with a bit of flamboyance. Both like to be in control, so this sign may end up trying to run the lives of their family members. They can be morally courageous exciting but fluctuating, addictive and depressions. Try to balance high and low. Stability brings harmony Try to be free from your past problem for future happiness. Pace your self for the long and sturdy run.